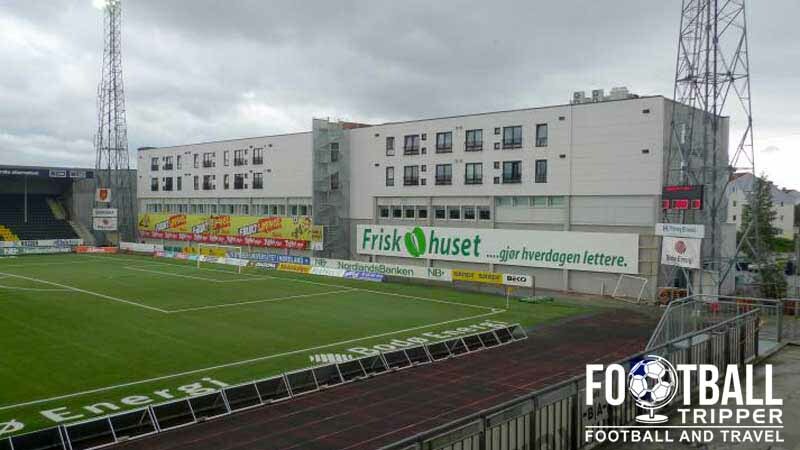 Aspmyra Stadion is a purpose built football stadium located in the town of Bodø which belongs to Nordland County region. 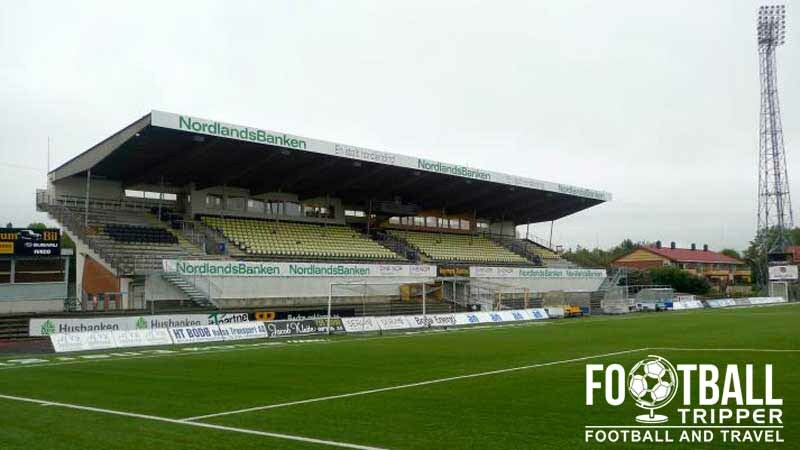 Home to two football clubs, FK Bodø/Glimt and the smaller IK Grand Bodø, the 7,354 capacity ground dates back to 1966 has undergone numerous improvements including expansion in 2001 and renovations in 2008. Aspmyra Stadion is comprised of four stands: North, East, South and West. 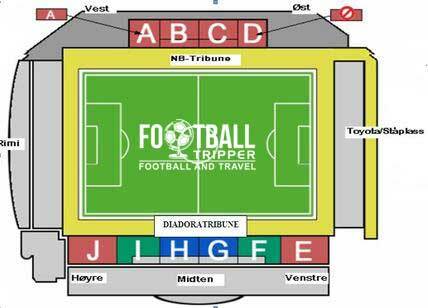 If any Norwegian Football Trippers happen to know where the visiting supporters (Bortesupportere) are located then please get in touch. Information regarding the official merchandise is available on this page. You may have to use Google Translate! 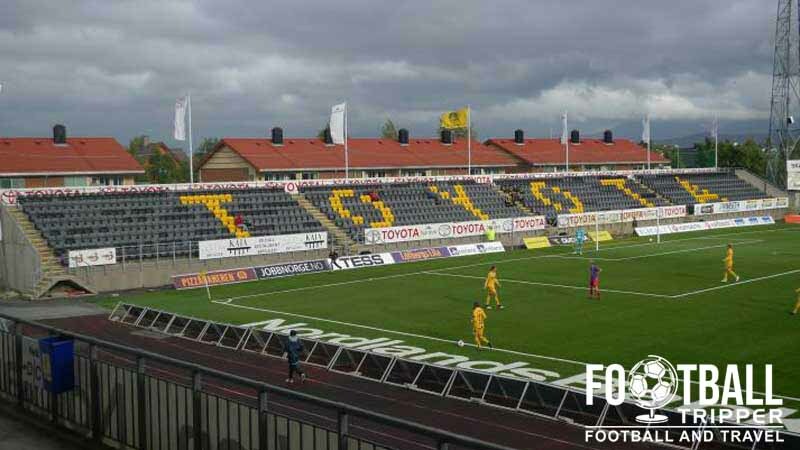 It doesn’t seem as if FK Bodø/Glimt currently offer tours of Aspmyra Stadion. Should this ever change we’ll be sure to update this section. 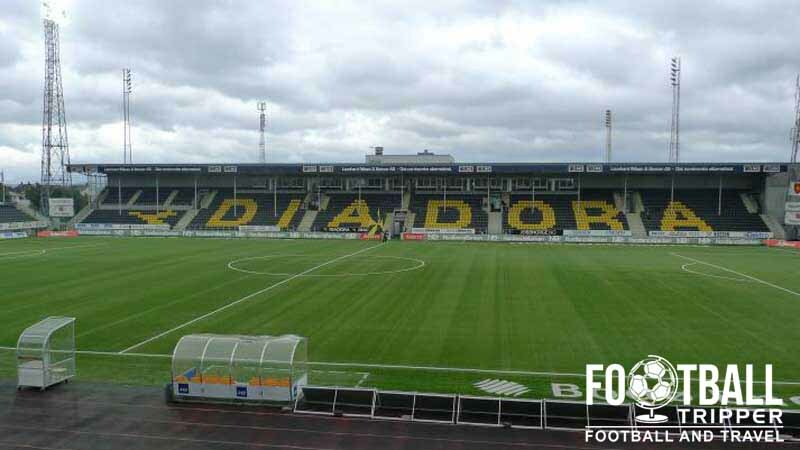 Tickets to see FK Bodø/Glimt play at home can either be purchased online from the official website or in person from the stadium. You can pick up tickets both during the week from the club office, and from the ticket booths which specifically open on match days. Please note that there is a slightly price increase for high-profile fixtures such as the ones against Tromsø and Rosenborg. Aspmyra Stadion is located less than 1.2 km west of Bodø’s historic town centre just north of the airport. As the municipality is very compact most Football Trippers can walk to the ground within 15-20 minutes. There appears to be a few parking spaces around the perimeter of the ground however the exact match day arrangements remain unclear. Bodo railway station is located north of the city centre and 1.6 km away from Aspmyra Stadion almost adjacent to the harbour. Another external look at Aspmyra Stadium, this time the back of the main stand. Bodø Airport is situated 2.2 km south-west of the city centre at the tip of the western peninsula. Certainly not the largest of airports, it specialises in the regional flights of Norwegian Air and Scandinavian Airlines as well as some seasonal carriers. Overlooking the bay there is the likes of Thon Hotel Nordlys, Radisson Blu and Clarion Collection Hotel Grand Bodo. Closer towards the station you will find more affordable places to stay such as City Hottel Bodø, and the cheap and cheerful Bodø Vandrerhjem.